The 26 December 2004 earthquake and tsunami that struck Aceh and North Sumatra Provinces, Indonesia, gave PKPA valuable experiences in humanitarian program with specific objective to protect children in emergency situation. The deadly earthquake and tsunami in Aceh and North Sumatra Provinces were also followed by a series of natural disasters in other areas in the country such as the 8.7 on the Richter scale earthquake that rocked Nias in 2005, Mount Merapi eruption and strong earthquake that hit Yogyakarta and Central Java in 2006, etc. It is a fact that Indonesia is particularly vulnerable to natural disaster. Based on data from the National Coordinating Agency for Disaster and Refugee Management (Badan Koordinasi Nasional Penanggulangan Bencana dan Pengungsi – BAKORNAS-PBP), there were more than 1,000 disasters in Indonesia from 1997 to 2004. These disasters killed approximately 40,000 people. This still excluded more than 200,000 people who were killed by the 2004 earthquake and tsunami in Aceh and North Sumatra and more than 800 people who were killed by the strong earthquake in Nias Island. The high intensity of earthquake in these last five years clearly shows that Indonesia is one of disaster prone countries in the world. Indonesia is particularly vulnerable to not only tectonic earthquake but also volcanic earthquake. This is because the country is located on the ring of fire. Climate change also may cause natural disaster in Indonesia. Nearly 80 percent of areas in Indonesia are at high risk of natural disaster such as earthquake, tsunami and volcanic eruption. Based on disaster map in Indonesia, it is only some areas in Kalimantan Island which are not categorized as earthquake and tsunami prone area. Currently, Indonesia has more than 129 active volcanoes and more than 500 inactive volcanoes. These volcanoes are spread in some areas in Sumatra Island, Java Island and Sulawesi Island. These last 100 years, there are more than 175,000 people who were killed by volcanic eruption. One of lessons learned from any disaster in Indonesia is that the needs of the affected children are often overlooked and they are not protected properly. Trauma and illness due to the disaster are often overlooked and not dealt with properly. Additionally, children in emergency or disaster situation are particularly vulnerable to economic exploitation, separation from family and loss of playground where children can play with their peer. Condition of the refugee camp which is not child-friendly is often deteriorated by child abuse and exploitation. Due to their dependency on adults, children in emergency or disaster situation are at high risks and under serious threats. Since children are still immature, they have no capacity to protect themselves and are not in a position to make a decision that may affect their lives. Following the 2004 earthquake and tsunami in Aceh and Nias, child survivors are not safe from various threats automatically. Hundreds of children are kidnapped and trafficked due to separation from family and acute poverty following the disaster. Hundreds of children in Nias Island also have to work as construction worker and in sand mining to meet the need of building materials for rehabilitation and reconstruction works. Following the strong earthquakes in Yogyakarta and West Sumatra, the affected children are forced to become beggar along the street. Although Indonesia is a disaster prone country, it does not have any comprehensive disaster management system to better protect children. In its disaster management scheme, the Indonesian Government still does not pay special attention to child protection aspect. Even, the protection and fulfillment of the fundamental rights of the affected community, including those of the affected children, are merely seen as moral and social issue rather than State’s responsibility and duty to its people. 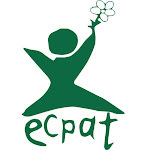 The condition of children so far has raised great concern to PKPA as an organization which focuses its program mainly on child issues in Indonesia. PKPA has started its emergency response and humanitarian mission program since 2003. In the year, flash floods swept Bukit Lawang of North Sumatra and killed more than 200 people. In 2004 and 2005, PKPA implemented emergency response program to assist those affected by the earthquake and tsunami in Aceh and Nias Island. In 2006, PKPA also implemented emergency response program following the strong earthquake that struck Klaten, Central Java. 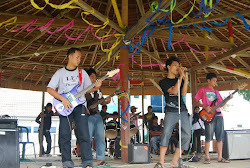 In 2009, the organization worked with victims of West Sumatra earthquake. 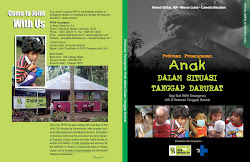 Meanwhile, in 2010, PKPA implemented emergency response program for victims of Mount Sinabung eruption in the District of Karo, North Sumatra. Up to now, PKPA has been working with more than 25,000 child IDPs through its humanitarian relief program such as a) Child trauma and psychological recovery, b) Provision of temporary school service and school recovery program, c) Provision of micro nutrient and basic health service for women and children, d) Child protection and advocacy for the fulfillment of children’s fundamental rights in refugee camps, and e) Provision of school-based and child-based disaster preparedness. PKPA also has established a special service unit called PKPA Emergency Aid (PEA) to pay greater attention to children in emergency or disaster situation. 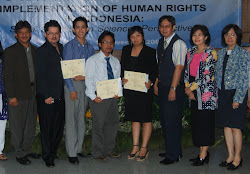 Following the completion of its emergency response program in West Sumatra in 2009, PKPA received supports from two international organizations i.e. World Vision International (WVI) and Kindernothilfe (KNH) Germany to develop two disaster-related modules. The first module is ‘School-based Disaster Risk Reduction Education’ which is supported by WVI and the second module is ‘Protection and Dealing with Children in Emergency Situation’ which is funded by KNH. The two modules will complete the existing modules in Indonesia.  Children are the most vulnerable group in disaster situation (the number of children who are killed by natural disasters in Indonesia is very high). 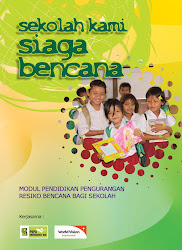  Children spend about 30 percent of their time in school (organized child community).  Disaster risk reduction is an integral part of the national education system.  It is particularly important to improve child participation in any policy related to children, especially in disaster issues.  School is often used as shelter or refugee camps during disaster or emergency situation. The development of the modules is based on not only academic theory but also field studies, local wisdom in Indonesia and experiences of field staffs and volunteers in emergency response program. The development of module entitled ‘School-based Disaster Risk Reduction’ is based on modules and approaches so far used by WVI and the implementing partner. It is expected that the module will offer a more applicable and contextual method to its users during disaster risk reduction together with children and school community in Indonesia. Meanwhile, KNH also hopes that the module can be adopted and used by its partners in other countries, especially those affected by disaster like Indonesia. a. Evacuation tool: Currently, PKPA has two ambulances. However, the organization still needs operational costs for fuel, drivers, volunteer team and health workers in emergency situation. b. Special tent for children: two units of 6 x 8 meter tents with good ventilation. The special tent for children should be equipped with blanket, bed, mattress and pillow. c. Mobile library car: It will be used for learning and recreational activities to ensure that the psychosocial activity can reach all IDP camps. d. Funds: The funds will be used to meet children’s basic needs such as nutritious foods, medicines and daily clothes.